The connection diagram of the two Phase AC Servo motor is shown below. The control phase is usually supplied from a servo amplifier. 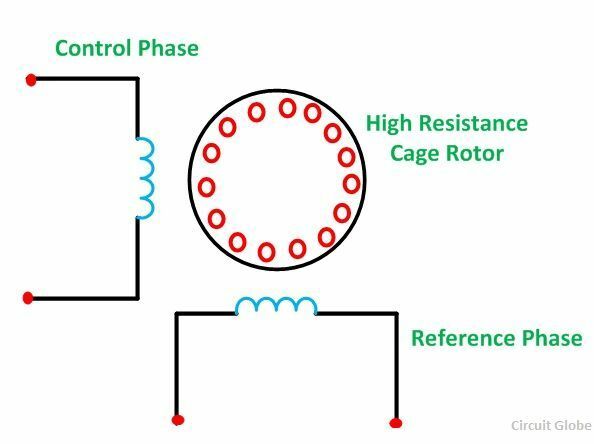 The speed and torque of the rotor are controlled by the phase difference between the control voltage and the reference phase voltage. By reversing the phase difference from leading to lagging or vice versa, the direction of the rotation of the rotor can be reversed. 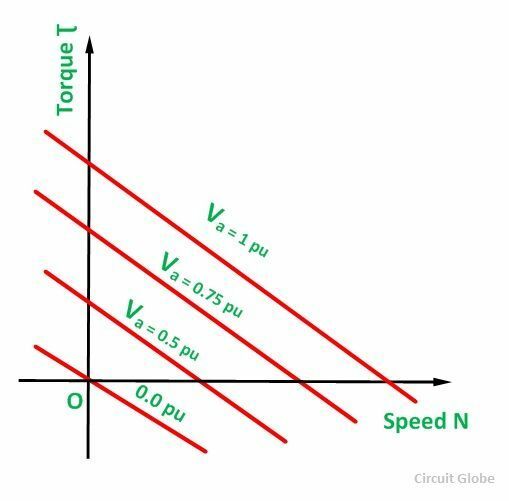 The torque speed characteristic of the two phase AC servomotor is shown in the figure below. 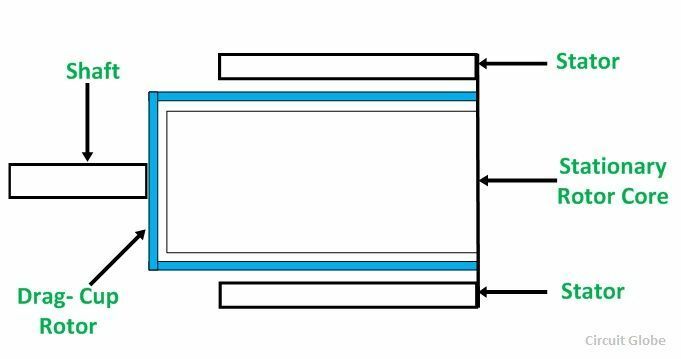 The negative slope represents a high rotor resistance and provides the motor with positive damping for better stability. The curve is linear for almost various control voltages. The response of the motor to a light control signal is improved by reducing the weight and inertia of the motor in a design known as the Drag Cup Servo motor as shown in the figure below. The rotor of the Drag cup servo motor is made of a thin cup of the nonmagnetic conducting material. A stationary iron core is placed in the middle of the conducting cup. This arrangement completes the magnetic circuit. As the rotor of the motor is made of thin material, its resistance will be high, which results in the high starting torque. Three phase induction motors with the voltage control are used as a Servo motor for the applications in the high power Servo systems. A three phase squirrel cage induction motor is a highly nonlinear coupled circuit device. It is used as a linear decoupled machine by using a control method known as a Vector Control or Field Oriented Control. The current in this type of machine is controlled in such a way that the torque and flux are decoupled.The decoupling results in high speed and high torque response.